Thanks, what do you guys think about tatoos and clothing patchs. I don't know about tatoo's but I think patchs would be pretty easy to make and implement. You would need some clothing material like cotten or denim and a needel and diffrent colored spools of thread depending on how many colors you wanted to use. Since sewing images in material is very similar to making bit images like in the old armored core emblem editors maybe they could do that. A small screen could pop up showing the patch and you would create your emblem dot by dot changing colors to create your image, old tatooing methods are actually very similar as well. Would to patch thing work like how the Squad XML works within ArmA? Not sure if you know about it but it allows people to use the PID (Player Identification) Number and their profile name, put into a .xml file with a logo and on their uniform the logo will appear and vehicles too! Yeah I had actually forgot about those, I have seen them a lot in diffrent DayZ and Arma servers like DayZ RP and Arma Life but I had never used them myself. That would be pretty cool as well, it would also be easier for people with limited artistic talent. Also talking about vehicles it would be cool if you could do the same thing in STN as well, although you would need spray paint or something else to create the image on a vehicle. In the game you should be able to start a group and keep track of your friends over the map. If this was to be implemented It might be a little Abused to be able to where you spawned so You might need some sort of long range communication device such as a radio or what ever they decide to put in the game. Then both players would need to start a group using the radio and be able to have a private network on the radio And for more players to be added to the group you would need to put in the frequency code and talk to them. of course it wouldn't really be a real code it would be a password the group leader would have to think of, But it would have to be Numbers only and the max numbers would be 7 for a password. Also you need the group name to be able to "tune" into the frequency. I say no group markers at all. Maybe an in game radio that you can program to talk to each other but no markers. I think big groups can use that to pick on other solo players like I already see in other games. No markers mean you have to identify and if you are a group of bad guys a good guy could get inside your ranks and distrupt your flow or at least have a fighting chance. I agree w/ no map markers, no nametags, or anything of the sort for anyone. This "forces" people to potentially interact more, and more realistically. Radio communication yes, and even a colored armband w/ a symbol on it for members of your group, but no other visual aids. I say that we have a 3rd option for no markers. I agree with this which I am sure they have or will have where we can use the sun and stars or something else for navigation help. This would be to overpowered for large groups of people, and we want to keep things realistic, and in real life you would have to remember what the people in your group look like, and losing a member or friendly fire would happen. It would be convenient, but i would still rather not have it. If You Cant Kill Them, Tie Them Up And Call Them Your Play Things. Yeah what I hope for. And I believe you will be able to use radio's ingame to talk to each other. That should be good enough Mabe there will be maps of the island u can us also? Where's the option for neither? I'm with most about no markers, good old use of POI or geting used to area's to know where you or group members are... and also radio's are good idea to communicate but I'm guessing most people will use TS, skype or steam chat.. but I like the idea for radio's alot. And grouping/recruiting could be done through "posters" placed by survivors, then someone could take it down then look for the person who put it up to validate the agreement. if you're on about grouping and talking about frequencies etc. Do you mean something like this? It's for ArmA But same concept. Yeah something like that would be cool. That is task force radio and awesome. You can only hear people near you and then have to use the radio once they are out of range. 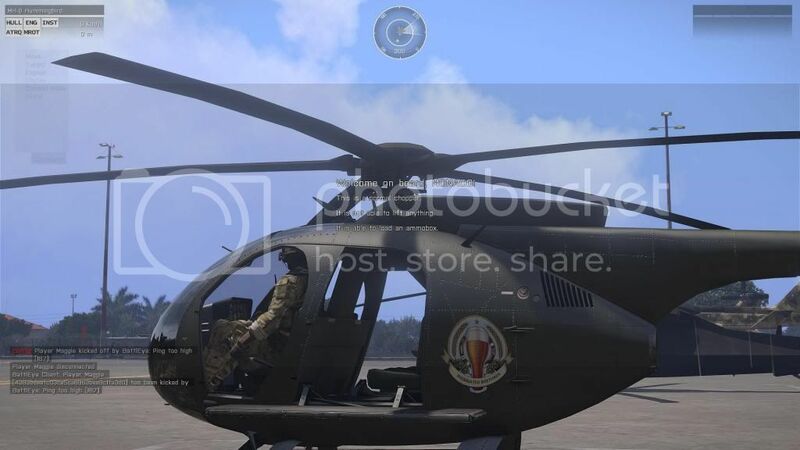 I love to use this mod when playing Arma. This teamspeak mod brings immersion like you would not believe. It would be great although I am sure not possible to have to use their in game chat. So that those radios are a must and people just not using some other third party app like TS or something like that.